UNTIL DECEMBER 18TH, 2018, WE ARE INCLUDING A FREE 2 HOUR PRINTING WORKSHOP AT CHARLIE'S STUDIO IN DORSET AS PART OF YOUR 121 TUITION DAY. A One to One session is ideal if you want to accelerate your development as a landscape photographer. In a One to One environment, Charlie is able to specifically tailor his teaching and share his insights and perspectives in ways that are particularly pertinent to your own priorities. The day is designed to be both an intensive learning experience as well as a very enjoyable day making photographs. There are a number of possible locations in Dorset that will be visited and as always, weather and lighting conditions will dictate which of these will be suitable on the day in question. They will range from Win Green Hill on the Dorset / Wiltshire border to Sturminster Newton Mill, along with Knowlton Church and the Kingston Lacy Beech Tree avenue. In addition, there may also be visits to Durdle Door and Kimmeridge Bay. Tuition level will be aimed at the photographer who wishes to explore the finer aspects of composition and understanding of balance, harmony, shape and design all integrating to make a cohesive whole. There will be associated tuition in filtration, in particular the dangers of over use of the polarising filter. Cameras needed will be SLR film and DSLR's. Lenses required should range from 24mm to 200mm. All filters, adaptors and holders will be supplied. The One to One Day typically begins at 10am with a review of 5-10 images from the participant’s portfolio (which they are asked to bring with them) with time on location photographing and then runs through until around 4 pm. A critique gives the opportunity for you to get some immediate feedback on the technical and creative elements of your images and enables Charlie to tailor the day's shoot to ensure it will be most beneficial to your photography. Lunch and all refreshments is included in the price. If you indicate which date you would prefer at time of booking, we will do our best to accommodate you. If none of the above are suitable then please contact us and we will try to find you an alternative. One to One’s cater for both the digital (Charlie works professionally with the Cannon DSLR, Nikon DSLR, and all Panasonic compact ranges) and traditional film users (Charlie works extensively with Hasselblad film camera range and is familiar with all of them). 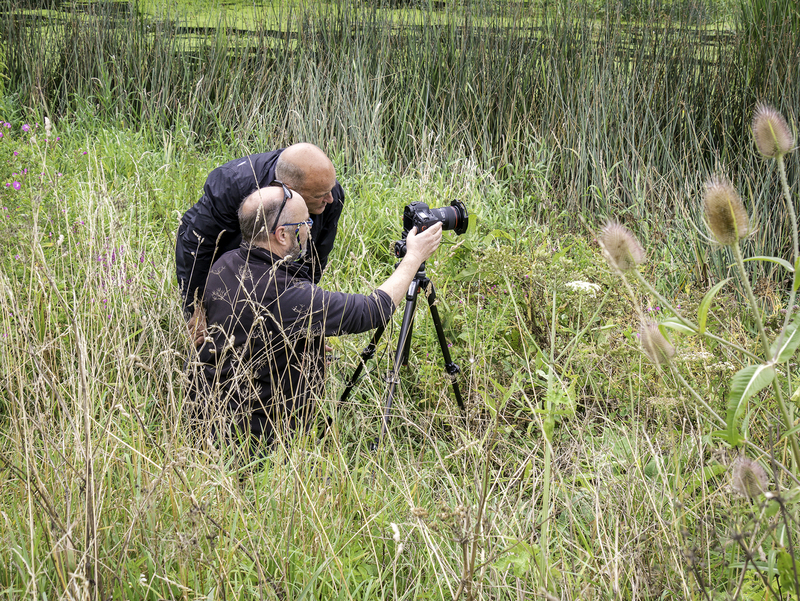 Charlie enjoys working with both complete beginners as well as advanced landscape photographers and these One to One days are tailored to your individual requirements. Should you wish to book a longer session with him or you have a different location choice in mind, then we are only too happy to discuss this with you. Gift vouchers are also available for purchase. These make a very suitable gift for anyone who has expressed interest in photography, be it to improve technique and approach or to learn from scratch. If you would like to give a One to One session as a gift or would like any more information, then please do contact the team at charlie@charliewaite.com. Critque of 5-10 images from the participant's portfolio. A day's tuition with Charlie from 10am until 4.30 pm and lunch. Camera (and if applicable separate lenses), plentry of spare batteries and memory cards, tripod and suitable clothing.